Welcome to Northeastern Technical College! If you are currently enrolled at NETC and plan to register for classes in the upcoming semester, you can attend advising and registrations sessions for current students. See your advisor to schedule an appointment. New students, or students who have attended NETC (previously named Chesterfield-Marlboro Technical College) and have been out for 12 months must complete and submit an application for admissions by the application deadline for the upcoming semester. 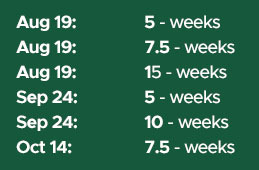 Students are required to re-apply for financial aid each academic year. Additional steps may be required once your application has been processed. Students are required to re-apply for financial aid each academic year. Get started today! 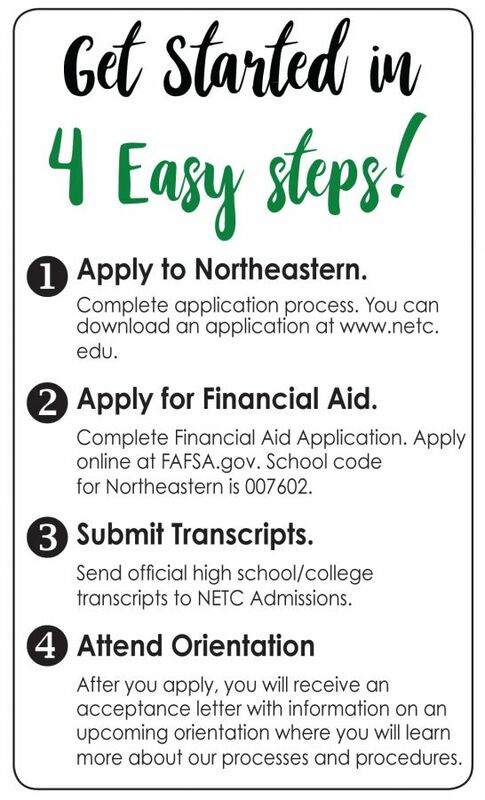 At NETC, we make getting your college education easy. Learn more about the 5 Steps to Enrollment.